A sump pump is one of those household items you might not ever consider, but if you have a basement, chances are your house has one. Ever experienced a flash flood and standing water in your basement? Well, if you have a sump pump, that’s when you learn about the effectiveness of the, rather slight, object. If your home was built on flat land, or a flood-prone area, you will need a sump pump. A sump pump will remove water that has found its way under the foundation. 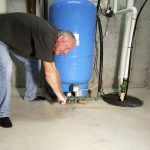 Once that water is under the foundation of your home, it’ll either sit there and seep through the concrete (thus creating a breeding ground of mold and mildew) or go through cracks in the foundation (thus causing water damage). The sump pump resides in a hole with a gravel base about two feet deep and 18 inches wide, which has been dug in the lowest part of the basement/crawl space. When the pit fills with water, the pump will turn on. The pipe to the sump pump has a one-way valve called a check valve, which keeps the water from flowing back into the pit. The major downfall to the sump pump, advises Worley, is if there is a power outage or mechanical failure, the sump pump will not work, so flooding could be imminent. Does Everyone Need a Sump Pump? If you’ve never experienced standing water in your basement or crawl space, the simple answer is no, you most likely do not need a sump pump. However, if your lower level ever smells musty, feels damp or floods occasionally, you have an issue with moisture coming into your foundation. Another option is the French drain, which will be covered in a later blog post. 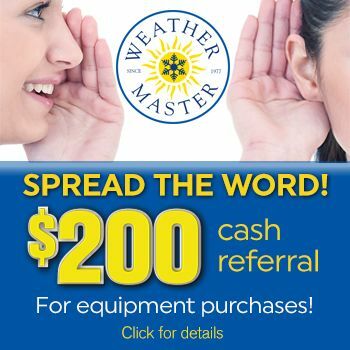 If you think it’s time to install a sump pump, or your current one needs maintained, call the experts at Weather Master & Mr. Plumber, and we’ll send a technician out to discuss your options.